Naypyidaw – In business they say ‘follow the money.’ In the capital of Naypyidaw, Myanmar’s administrative center, all the big boys are here. From Thailand, there are PTT, Egat, CPF, Italthai and their subsidiaries. From China there’s the State Grid and scores of energy giants. From the West: GE, Total and Siemens are the symbols of advanced technology and engineering. Every major player wants a piece of the Myanmar pie. This year, the path to attaining a prosperous future for this once isolated nation has become clearer. When a country develops, one indicator showing it is taking off is the demand for energy. And it is shooting up. At a recent Asean summit hosted by Naypyidaw, regional officials have finally signed the establishment of an electricity grid to trade power. For now the land-locked regions of Thailand, Laos, Malaysia, Singapore and Myanmar will be linked. Not far behind are Cambodia and Vietnam and the rest of the 10-member Asean bloc. “We will buy (electricity) if we need it,” U Htein Lwin, permanent secretary for Myanmar’s Ministry of Electricity and Energy said. “We are now drawing up plans for [transnational] electricity lines. We also plan to buy from China and are also discussing buying from Laos,” he said. Of Myanmar’s 66-million population, only 52 percent have access to electricity. 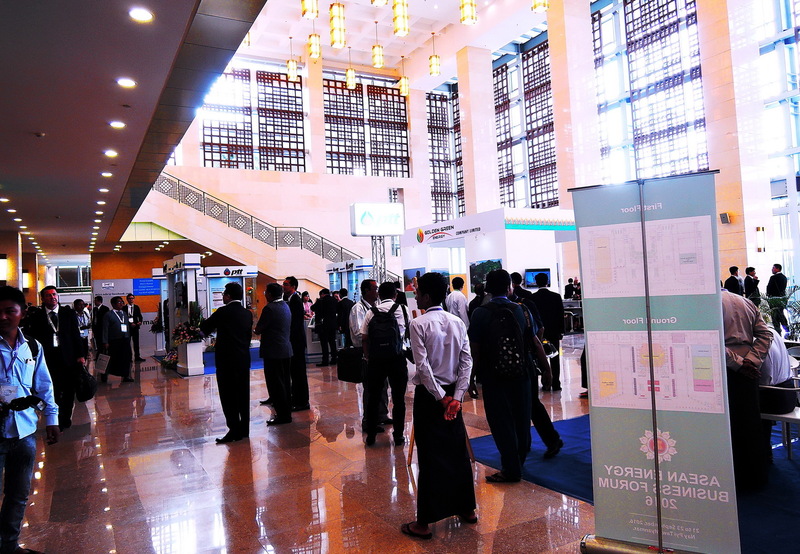 Myanmar is growing at between 7.5 to 8 percent the past two years. The average growth rate in Asean is 6 percent. Cambodians are even less connected, with just 31 percent of its 15-million populace having electricity. 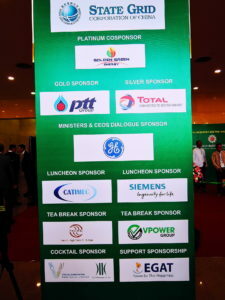 Myanmar fully recognizes the importance of beefing up its power supply. Power shortage is a huge deterrent to attracting foreign investment. In past years, companies have pulled out or halted plans to invest when they found their operations were forced to shut because of frequent power interruptions that can last for several hours or for days. Things have improved somewhat the past two years. The aim is to promote energy efficiency and redistribution of electricity from countries in the region that generate a surplus to those – like Myanmar – that have unmet energy needs, U Htein Lwin said. “Energy means oil and gas, and electricity,” he said. The first step in Asean energy cooperation will see Laos sell electricity to Malaysia, via its southern neighbor Thailand. Laos, often called the ‘Battery of Asia’ is the biggest and cheapest producer of clean energy from its massive hydro sites. It generates about 15 billion kw/hr and sells 12.5 billion kw/h. Its sale is worth more than US$610 million a year. For decades Thailand was its main buyer but now, it is set to diversify its base. 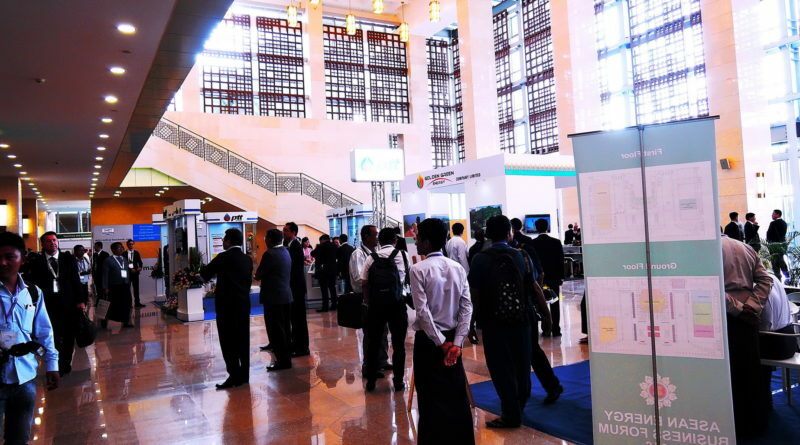 Officials have set a 2016-20 window for the first phase of the Asean power grid, with a second stage to follow, bringing Singapore into the multilateral transmission grid. The goal is to build on already existing bilateral electricity-sharing arrangements within the regional bloc, according to Datuk Loo Took Gee, the Malaysian Ministry of Energy, Green Technology and Water’s secretary general. 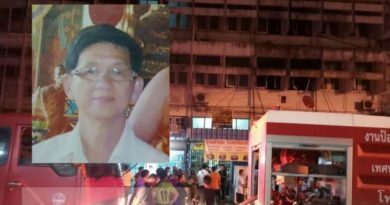 “There are many energy-trading cases by connecting islands like Sumatra to peninsular Malaysia,” Myanmar Times quoted him as saying. According to Myanmar’s 2014 census, electrification in the country remains low, with less than 33 percent of households using electricity as their primary source of lighting. A slew of proposed hydropower dams would significantly expand Myanmar’s power generation capacity, but activists in recent years have complained that in several cases the power generated is slated for export, namely to Thailand and China. Myanmar’s energy consumption per capita is one of the lowest in Southeast Asia. Contributing factors are the low income and the low electrification rate. Energy consumption is however now growing rapidly, especially during the past five years of reformation. Huge new infrastructure works in the coming years including a new airport and mass transit rail system will push Myanmar even further to seek electricity to power its growth. 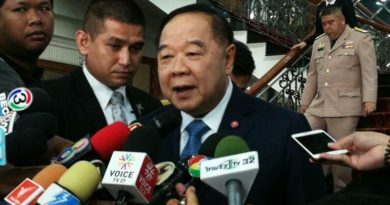 “Laos is telling countries like Myanmar to buy from us,” said Laotian Vice Minister for Energy and Mines Viraphonh Vilavong. “We are happy to sell power at very low cost, the lowest in Asia to our Asean neighbors. It will save them a lot of money from building expensive power plants. How much will a new power plant cost? Even coal plants, which are not clean and being phased out in the world, costs several hundred millions. Nuclear costs billions. Viraphonh recently signed a memorandum of understanding (MoU) with Thai Energy Minister Anataporn Kanjanarat and Malaysian counterpart Johnity Ongkili on the deal that allows the transportation of electricity through their countries. Asean ministers hailed the deal as ‘a milestone’ that paves the way for future exchanges of goods and services across Asean and to its big neighbors China, India, Korea and Japan. The grid agreement also allows Thailand to sell surplus power. Thailand’s renewables producers are already showing a greater ability to generate much more power at a lower price. In the past biogas plants usually generated less than 5MW of power. Today, it is not unusual to find they can each generate 60 to 100MW. Top: Top businessmen and state officials gather at Naypyidaw for an historic energy meeting that saw a MoU signed for multi-lateral energy exchange deal. 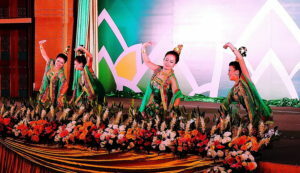 Below: Myanmar traditional dancers welcome global business leaders, investors and state representatives. 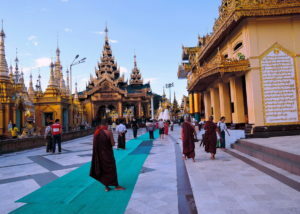 Further down: Shwedagon pagoda helps attract a lot of tourists each year to Myanmar.